A few special sessions. An election cycle. A new president. A new year. And with a new — the Thirtieth — Alaska Legislature comes, finally, a new newsletter! It’s been a chunk of time since the last newsletter. My, my, what has since transpired. All of us, the entire State of Alaska, are peering into an inky black fiscal abyss. Earlier today, Governor Walker vetoed a bunch of budget line items, scolding the legislature for a job undone. On behalf of the legislative branch of government in Alaska, I am SO sorry. I’ve heard some grizzled Alaska political observers lament they haven’t seen it so bad since 1981. I’ve heard some say it’s never been this bad, ever. We have a new legislature, a new governor, and a radically new $47.28 price for Alaska North Slope crude oil. 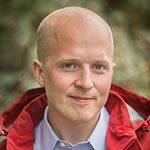 We have a $3.5 billion budget deficit; we have a $55 billion LNG project (give or take $10 billion), one of the world’s largest, subject to the whims of rapidly changing global natural gas markets; and we have a proposal on the table to expand Medicaid for 40,000 Alaskans without health insurance. 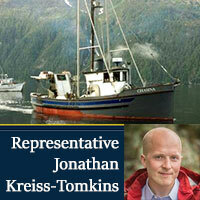 Rep. Kreiss-Tomkins’ Newsletter: What are those yahoos in Juneau up to now?